I have used Kahoot a few times but I also encountered technical issues with students unable to log on and this has made me a bit hesitant to revisit it! However, the technical issues helped me to realise the importance of always having a Plan B in case things go wrong!! 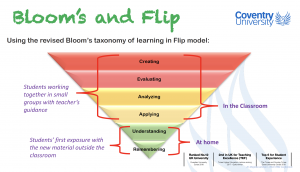 My experience / belief in Flipped Learning is that it is good in theory, but problematic in practice. For it to work, I think it must be embedded at the very start – New cohort, Day 1, Year 1. There needs to be a cultural shift with all faculty teaching staff on board. From the video I do like the idea of the structure which has been put forward – What do I need to know? What do I need to do? What is the activity? With careful planning I can see it working but not starting midway through a semester or academic year. 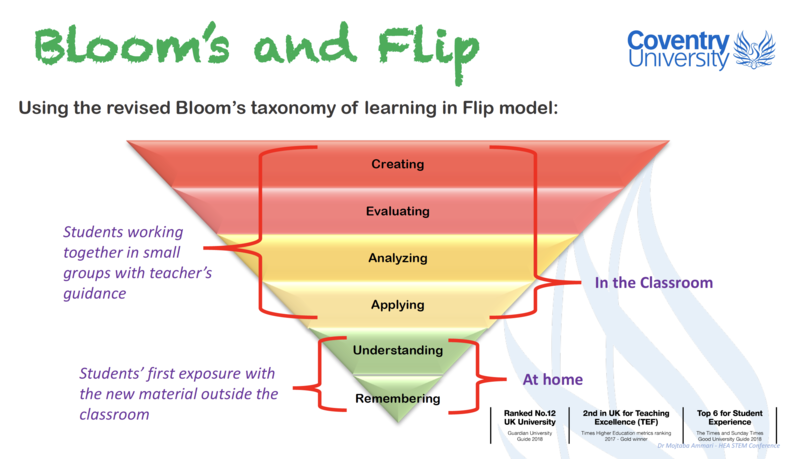 I really think this is a great way to learn – It can also be adapted and differentiated to suit the level and learning style whereby the level of enquiry can be either structured, guided, or open. I think enquiry-based learning is great and I look forward to exploring it further. I think learning through play can really help break down barriers and open communication – I’ve experienced Lego sessions with the DMLL and it’s great to see initially reserved participants all creatively collaborating, using imagination and having fun – The actual ‘learning’ seems secondary to the activity, but actually the play process has really helped develop ideas and lateral thinking. I have used games such as ‘snakes and ladders’ and ‘dominos’ within revision exercises and those sessions have always been enjoyable and engaged the students.